The site is three miles south of the San Marcos Pass: Take Highway 154 out of Santa Barbara and turn right on Painted Caves Road. 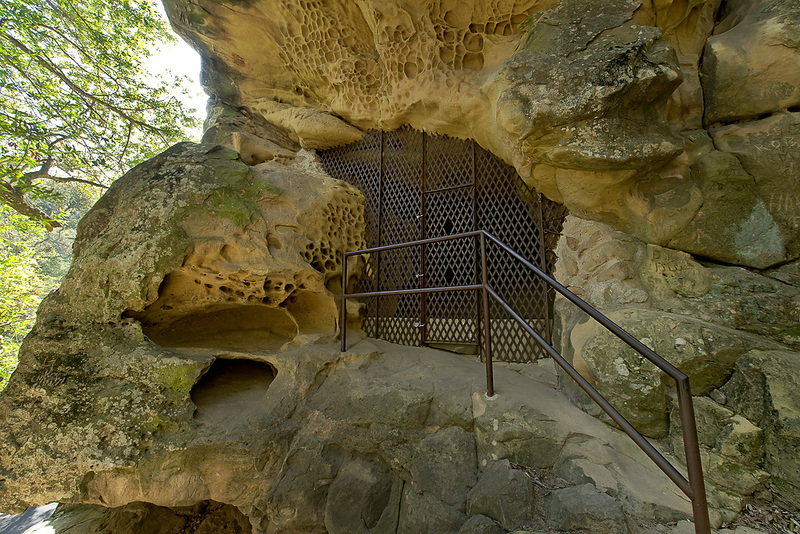 The cave is located on the left, about two miles up a steep, narrow road. The pullout at the site will only accommodate one or two vehicles. Trailers and RVs should not attempt the road. 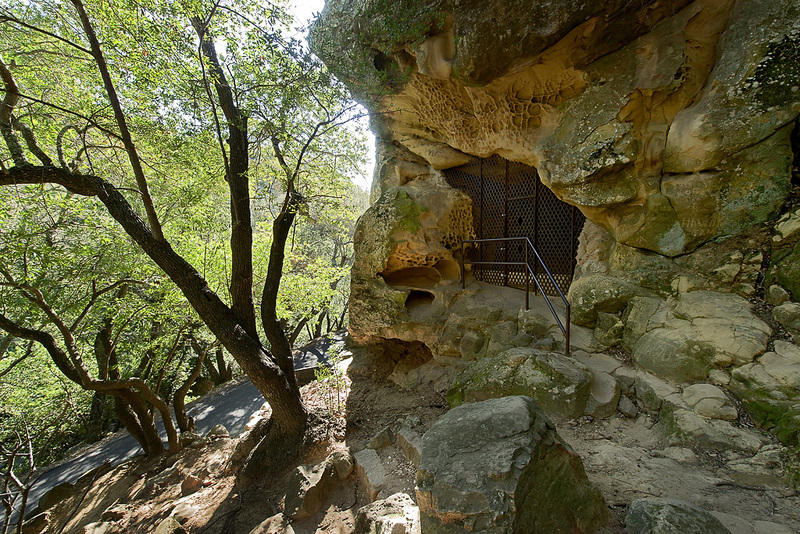 California State Parks has teamed with CyArk and Santa Ynez Valley High School to produce a detailed 3D laser scan of Chumash Painted Cave and its surroundings. This scan will not only preserve a record of the significant pictographs for use in future condition assessments, but it also provides park visitors with a closer view of the art not currently possible due to the protective grate across the cave opening. State Parks has also worked with Barbareño Chumash elder, Ernestine de Soto and the Santa Barbara Museum of Natural History to provide accurate interpretive information about the rock art, and its importance to modern Chumash descendants. 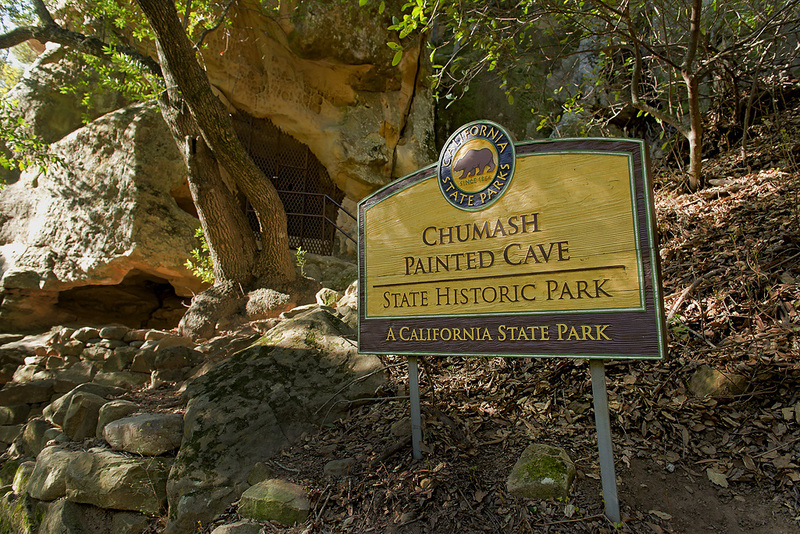 To learn more, visit CyArk Chumash Painted Cave Project and be sure to click on the mapped locations for 3D laser scan viewing! 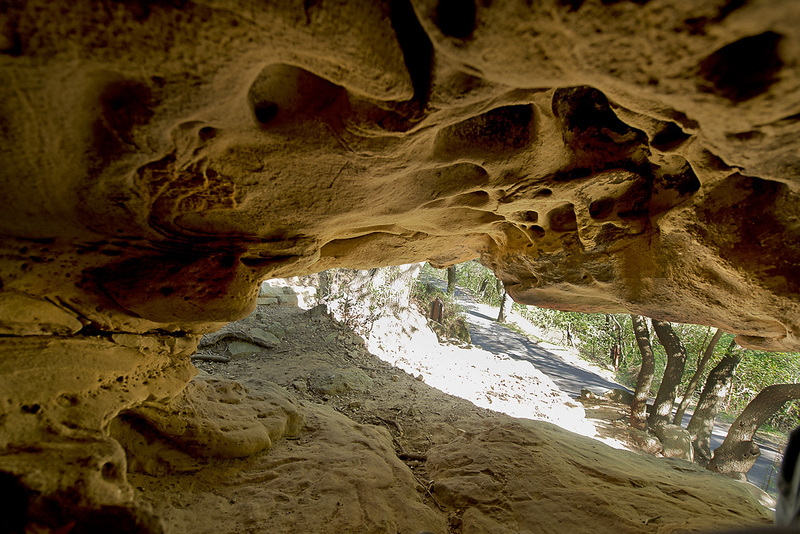 The walls of this small cave carved from towering sandstone boulders contain some of the finest remaining rock art created by Chumash Native Americans. 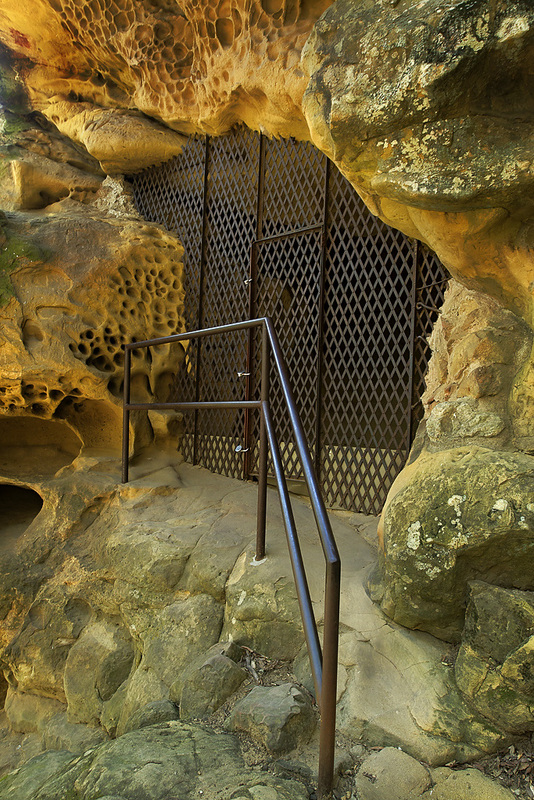 A steep path leads to the cave entrance, which is protected by heavy iron grillwork. Anthropologists estimate that the paintings date to the 1600's and earlier. The meaning of these enigmatic images has been lost. The site is three miles south of San Marcos Pass. 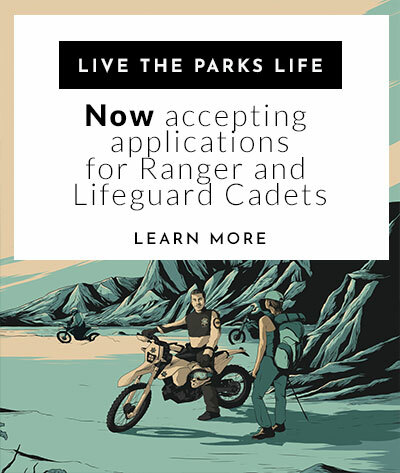 Take Highway 154 from Santa Barbara and turn right on Painted Cave Road. 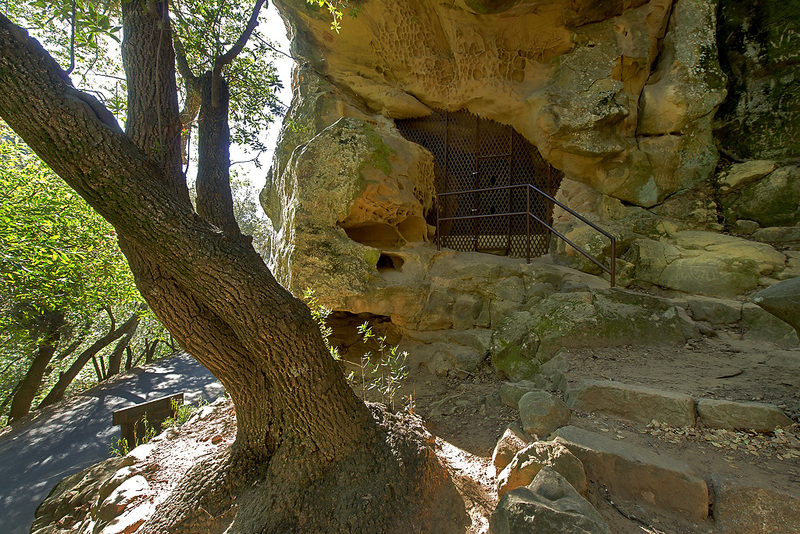 The cave is located on the left about two miles up a steep, narrow road. Parking is limited to two or three cars. RVs and trailers should not attempt the road. 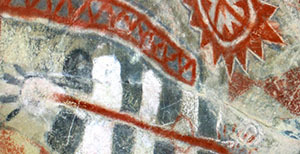 Further information about Chumash Painted Cave SHP can be obtained by contacting La Purisima Mission State Historic Park (phone number listed at right). The narrow canyon where the cave is located can be cool, even in summer. Layered clothing is best.